Welcome to Wholesale Designer Kitchens. With our showroom in Blackpool, we are suppliers of quality kitchens at wholesale prices to both the trade and public. We stock the only the best quality kitchen worktops, cabinets and doors. 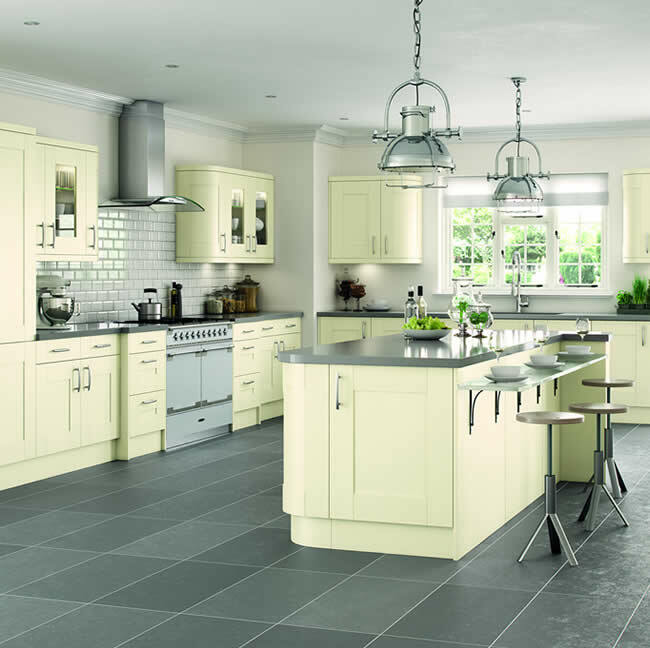 Wholesale Designer Kitchens have one of the largest range of kitchens in Blackpool and whole of the UK. Wholesale Designer Kitchens offer you the chance to get a glimpse of how fantastic your new kitchen would look like before you buy. Our designers use the latest 3D CAD technology to design your new kitchen based on your specifications. Creating stunning 3D images with your exact measurements, you will have a clear vision of your dream kitchen. We recommend that you call 01253 696 418 to book an appointment, Otherwise, please feel free to visit our showroom. Our team of designer and kitchen fitters will be more than willing to assist. We are located on Preston New Road, Blackpool (Next door to ATS). As kitchen suppliers in Blackpool, we cover the whole of The Fylde Coast including St Annes, Lytham, Thornton, Cleveleys, Poulton and Fleetwood. Other areas include Preston, Garstang, Kirkham and Wesham. 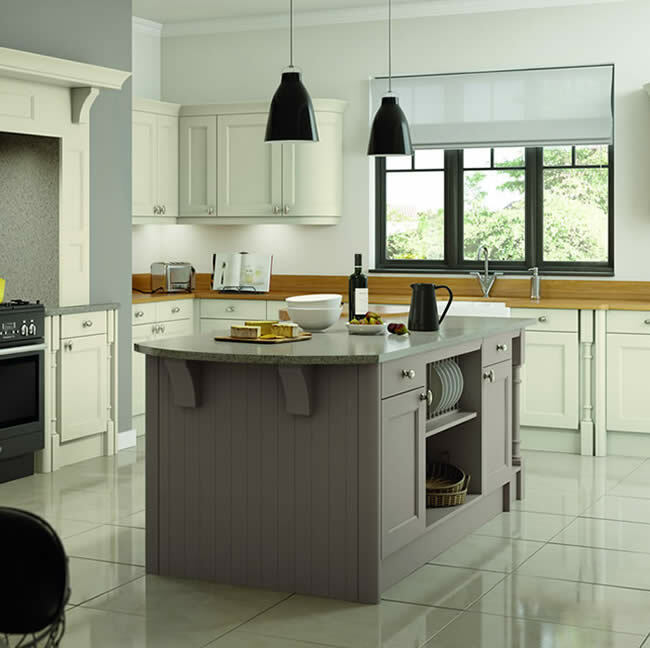 To ensure our kitchen are of the highest standards, we work with only the best kitchen manufacturers and suppliers. Our connections ensure that we can deliver all our kitchen cabinets, doors and worktops as well as sinks, tap and kitchen appliances at wholesale prices. We currently stock over 50 different kitchen styles. 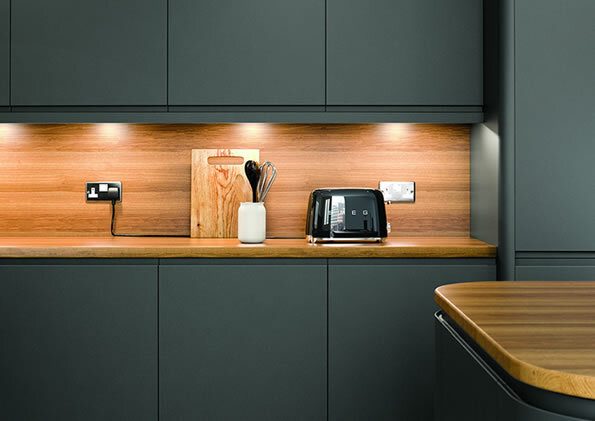 You can choose from a wide range of colours in either a matt or gloss finish. Alternatively, with the Hand Painted Collection we can ensure that your kitchen is exactly how you dreamed it to be. This collection has been created by our leading artists which consist of only hand painted doors and cabinets. The lighter tones of Windsor Mussel make it an ideal choice to combine with the darker stone grey island unit. Bottle racks create a natural flow from the kitchen to open space living. When you buy kitchens from our Blackpool showroom, we will always endeavour to excel in customer service, value for money and quality supply. When you purchase a quality kitchen from us, our level of customer service is second to none. 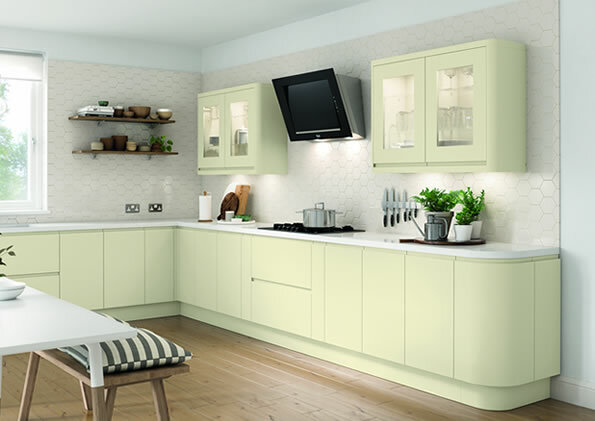 Wholesale Designer kitchens are proud to offer a full 10-year guarantee on all our kitchen furniture whilst all appliances carry a full manufacturers guarantee. For your peace of mind all our furniture is FSC and Fire Gold accredited. We ensure that every component, no matter how small has been quality checked before they leave the factories. Great care is also taken during the delivery process to ensure you have a smooth supply and can enjoy your dream kitchen for many years to come. 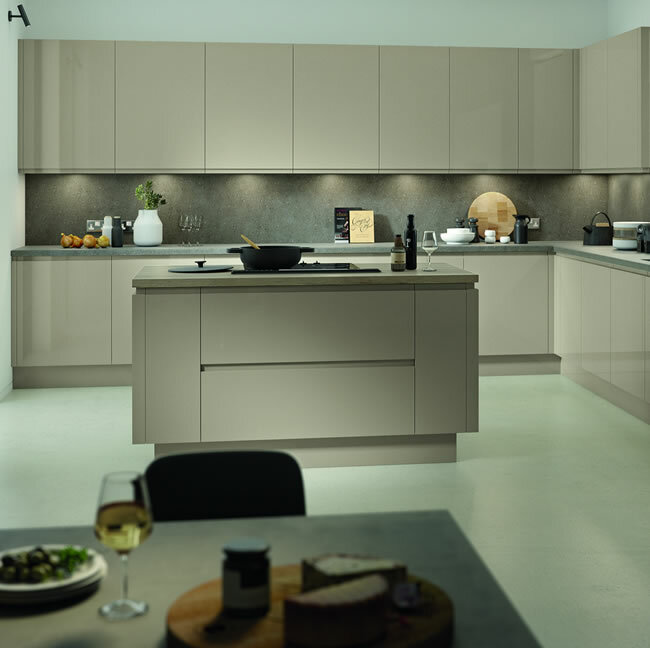 Should any part of your kitchen be found to be below our expected standards during the fit-out phase or throughout the guarantee period, we will endeavour to replace and part and deliver it to you free of charge within 48 hours.